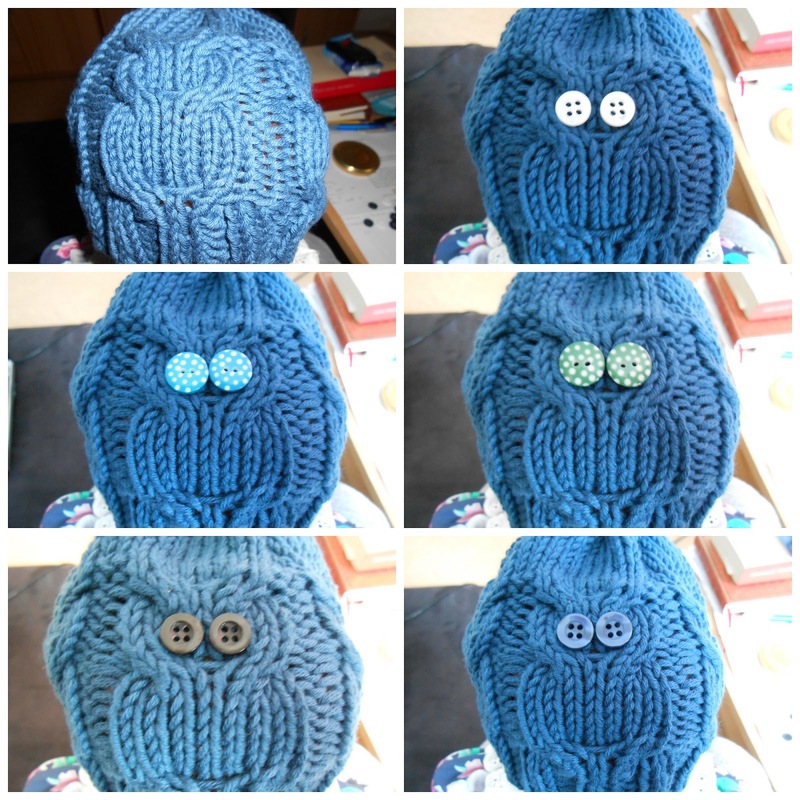 I've been working on my little owl hat. By the way, did anybody notice my glaring mistake in Wednesday's picture? 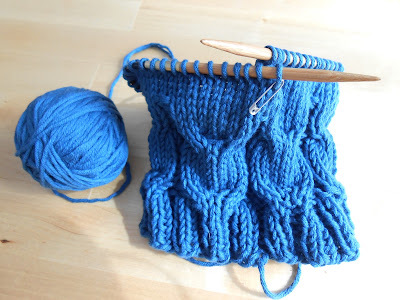 Yep, I totally skipped the cabled row that turns simple knitting into proper little owl heads! Gah. Well, I had to frog this. Thank goodness for the generosity of the crafting community that shares their wisdom because I really didn't want to go back three rows stitch by stitch. I'd pinned the solution a while back and could finally apply it. There's a silver lining to everything, eh? 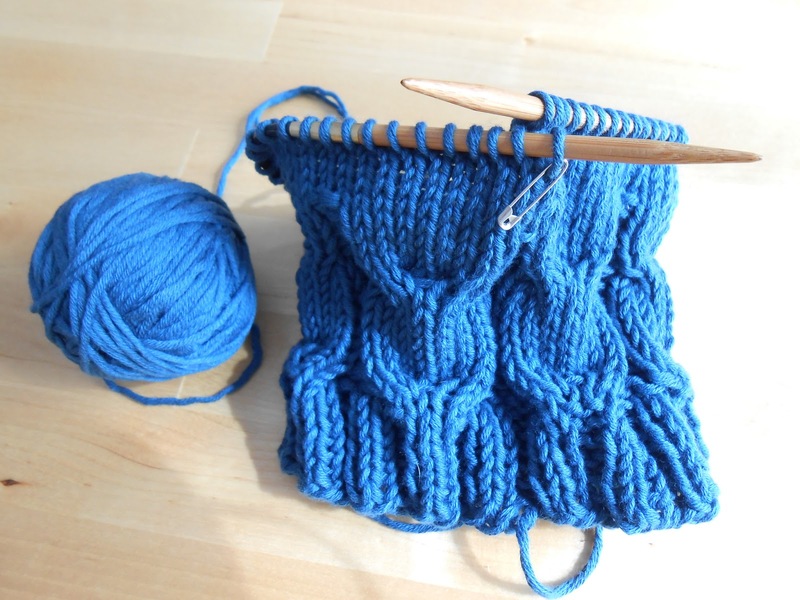 It was a bit fiddly but the last pic shows my knitting back on track. Yay. 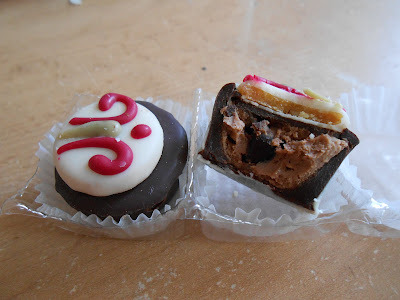 I then rewarded myself with these. Nom nom. The hat's now finished but I'm a teensy tiny bit stuck. Eyes or no eyes? Don't fear, I'm convinced my firend won't leave little C unattended to play with and choke on buttons, so we can put decoration over safety issues for once. Unfortunately I don't have enough of the bottom two buttons (salvaged from shirts) to decorate all six owls, only three each. Anyway, what do you think? Eyes? No eyes? 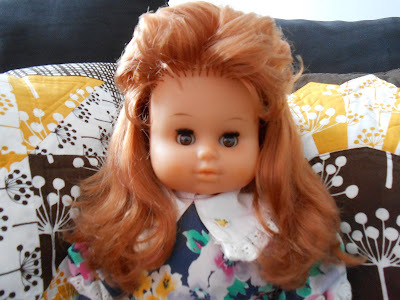 For a glamorous parting shot, let me introduce my beloved childhood doll. You can tell she's a true 80s girl from that terrible terrible fluffy fringe. One hot mess! I love her nonetheless and think she's one of the reasons why I've always been envious of natural gingers. Dye for me if I want to look like that. Anyway, look how much cuter she looks with the hat to cover that fringe! I'm falling in love with her all over again! Linking up with TGIFF, this week at What a Hoot! Hehe Yep - the hat really helps her look. ;D Wow buttons or no is a hard call - I really like either of the bottom two, but as you say, there aren't enough - does it look weird if you just put them on one "feature" owl? I'm just amazed to start with that you could knit that - I've never been able to get knitting into my hands. That is a fabulous hat! I too am in awe of the knitting. 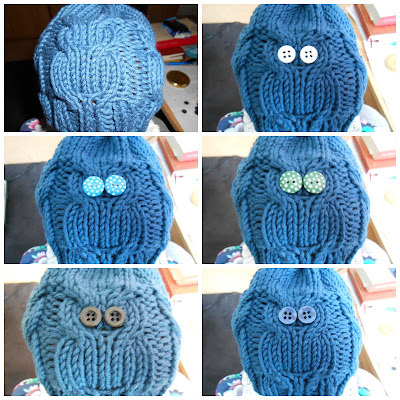 I would go for either of the bottom button options, could you alternate so some of the owls do have eyes and some don't or would that look really weird? I had no idea there is such pattern called owls, lol. How about yellow eyes stitched with black tread to look like the real ones? 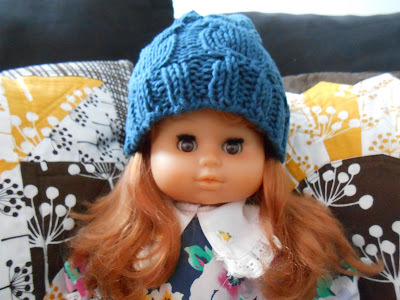 I love the bottom brown buttons - such a cute hat!